A piece of hockey history, which helped prop up many a game at the Canadian Forces Airbase in Kandahar, Afghanistan, settled into its new home at the Hockey Hall of Fame. Now, more than two years after Canada's official mission in Afghanistan wrapped up, the hockey rink boards are on display at the Hockey Hall of Fame in Toronto. "When I think about it now, it seems a little bit surreal that I was playing hockey on a rink in the middle of the desert, in the middle of a war zone," said Travis Smyth, who spent seven months in 2010 stationed in Afghanistan with the Royal Canadian Regiment based out of Petawawa, Ont. "It seems a little crazy, but it certainly was a great relief for the troops that got to play on it." 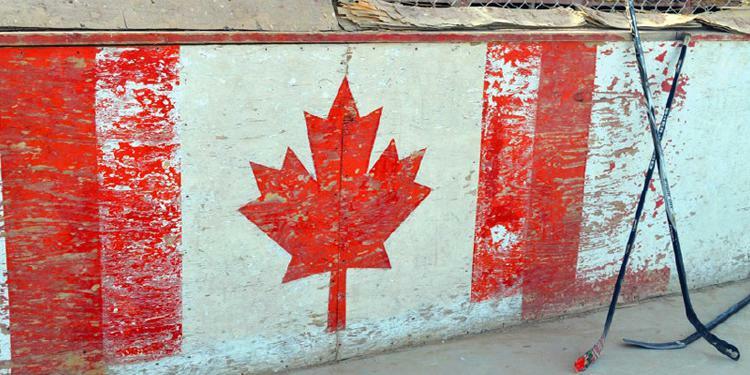 The Canadians served in Afghanistan from 2001 to 2014, with the rink built in 2006 mostly by Canadian engineers volunteering any free time they had. At the height of the Afghan mission, the airfield housed about 50,000 people, with thousands more passing through all the time. Almost everyone stopped at the rink at least briefly if time allowed. At its peak there were some 24 teams that played regularly, mostly Canadian, but with at least one US team and two teams representing Slovakia. For many it was an important release of tensions. For the Canadians who served there it was an important symbol and that will now be preserved. You can check out this piece of Canadian history on display from June 30 – September 4, 2017 at the Hockey Hall of Fame. Complement your visit with the Hockey Hall of Fame’s Personalized Tour App including access to the special Canada 150 custom tour. Visit HHOF.com for details and Summer Hours of Operation.